I love the years when Advent doesn’t begin until after Thanksgiving Weekend. Not because I’m a Grinch who thinks Christmas decorations shouldn’t go up until much later (confession: I’m listening to Christmas music as I write). But because I love the illusion of time and space this extra week between holidays gives me. I don’t care if you put up your Christmas decorations the day after Thanksgiving, but I’m feeling fine about the pumpkins and dried corn arrangement still decorating my doorway! Resist excessive consumerism: Buy local, fair trade, and/or purchase events and activities (tickets to a play, gift cards to a restaurant) that bring people together. Give friends and family the gift of time with you. Do what brings you joy: What do you love best this time of year? Baking? Listening to Christmas music? Reading old Christmas stories? Putting on your pajamas as early as possible and calling it a night? Whatever it is, DO IT. In fact, make it the first item on your “to do” list. No one else can make your holiday happen. 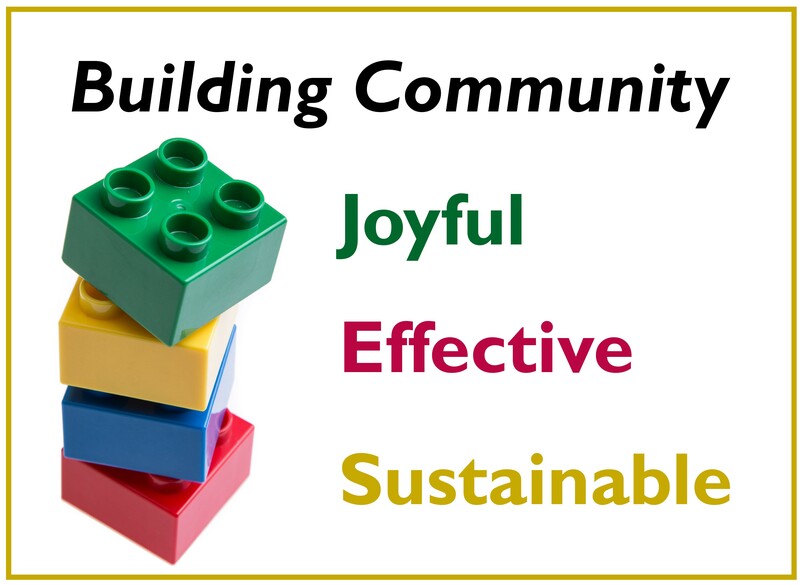 Connect with others: Hibernating is great, but joy is meant to be shared. Choose your activities with care. It might be necessary to attend the firm’s holiday party, but it may not be the best place to connect meaningfully with others. So, meet a friend for tea and share what brings you comfort and joy. Or invite people to a game night and LAUGH! 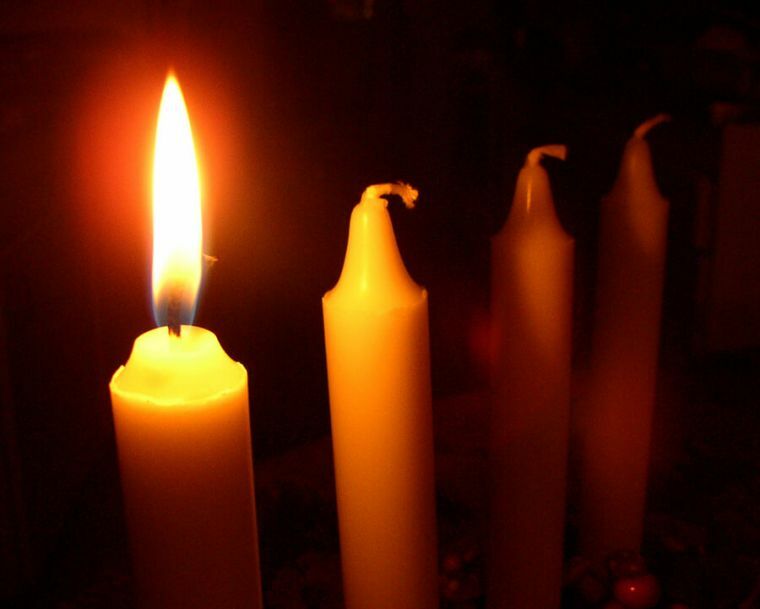 Note: Jan Richardson offers a wonderful, daily online Advent Retreat. I plan to participate and encourage others to join me. If you’d like, please let me know: churches get discounted rates for groups of 8 or more. It starts tomorrow! At its best*, this is an amazing, even miraculous time of year, awaiting the birth of God in the world. Incarnation means God is present in our lives— loving us, rejoicing with us, crying with us, being with us. It is an awesome way of understanding the Holy One’s relationship with humanity and the rest of creation: God is not separate, out there; God is with us, right here. * At its worst, this is a very difficult time of year for those experiencing sadness or grief. If this is true for you, please email me at pastor@cpcchurch.org. I plan to hold a gathering sometime in the next couple of weeks for all who would like to receive and/or give support at this time of year. Holiday grief doesn’t necessarily have anything to do with the holidays (though it may); it’s simply grief present at this time of year. Stewardship Campaign—THANK YOU to everyone who has made their 2019 pledge! If you haven’t, please consider pledging now. Our 2019 budget calls for a 4% increase in pledges, primarily due to a 2.8% COLA for our dedicated staff. You can send in the pledge card you were mailed or fill one out online. Questions? Contact Carol L. Rogers: clrogers2009@gmail.com. Secret Santas for Shaw Community Center, thru 12/9—Gift request tags are hanging in the parlor. Please take a tag, sign the name sheet (so Ashley knows whom to contact) and bring your wrapped gift (with request tag attached) to church next Sunday. Questions? Contact Ashley: holst.ashley@gmail.com. 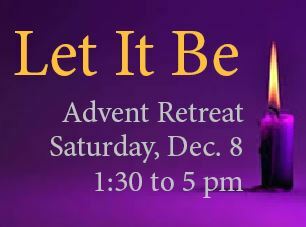 Advent Retreat: Let It Be, 12/8—This time of year we can all use some comfort and joy! Join Pastor Ellen from 1 to 5 pm for an afternoon of peace, prayer, poetry and spiritual reflection. RSVP: pastor@cpcchurch.org. Bible Study, 12/9—This monthly group will gather after worship next Sunday to discuss Genesis, chapters 37-50, led by Curt Canada. All are welcome (whether you’ve done the reading or not). Questions? Contact Dit Talley: dittalley@aol.com. FaithLife, 12/9—This group will meet from 6-7:30 pm this month (note the time change). Dan will send out the discussion article/topic in advance, so please let him know if you’d like to receive it: Dansack1962@gmail.com. Christmas Pageant, 12/16—Our regular Sunday morning service will include the annual Nativity Pageant. All children and youth are invited to participate! Please help us plan by emailing Kaylyn if your child(ren) will join us: kaynohamilton@gmail.com. Christmas Eve Potluck and Fireside Service, 12/24—If you’d like to gather for a potluck supper at 6 pm, RSVP: pastor@cpcchurch.org. Our Fireside Service of traditional lessons and carols will begin at 7:30 pm. Shaw Community Center Thank you—Shaw reports that they served 75 families in their recent Thanksgiving drive, providing $2,250 toward gift bags. Each bag included gift cards, hand-crafted candles made by Shaw’s youth, and “love cards” from partner churches. Thanks to all at CPC who contributed gift cards!